As the world changes, so does the workplace. With the labor-force being more diverse in their skillset, their priorities shift as well. A comfortable and flexible environment is important, especially for freelancers marketing their skills independent from companies, and small companies breaking into the bigger market. A shared office space offers the new worker with a flexible, comfortable, and budget-conscious alternative to the typical, LED-lit office with a printer that never works. BrooklynWorks 159 recognized the need for such a space and obliged. Located in South Slope, Brooklyn, we provide a variety of accommodations for the new worker. Whether you are looking for a single desk, an office, or just a space at a communal table, BrooklynWorks 159 has options for all in the ever-growing, creatively inclined borough of Brooklyn. At BrooklynWorks 159, we like to create an atmosphere that is suitable for creativity and efficiency. We like to think we are more than just a place that offers shared office space, instead looking to create a more relaxed vibe that helps to reduce the stress and increase the work flow. We have shared kitchens, fully stacked for the use of members with unlimited coffee and tea, along with a dedicated reception desk that handles mail and receives guest. High-speed internet is available to ensure your work is never interrupted, while conference rooms are available for business meetings or just social events. Or, if your muscles are straining, take a break and relax on our comfortable couches for a moment, or however long you please. But work is just one aspect of BrooklynWorks 159. We like to create a community for our tenants, where they can mingle and socialize, reaching across professional circles. At the end of the day, human connections are what sustain us, and our community events are an opportunity to explore those connections. Whether its pancakes on Tuesdays, or happy hours on the first Thursday of the month, there is always an opportunity to get to know your neighbor. 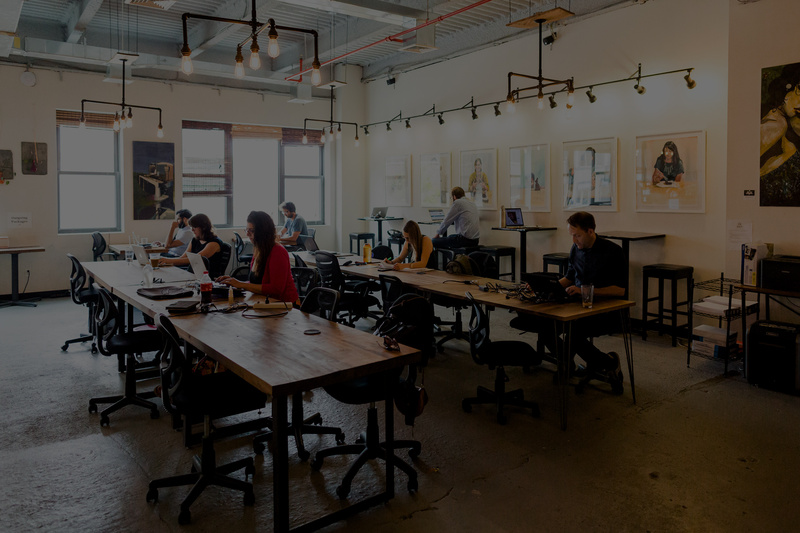 We are more than just a coworking space in Brooklyn, but why take our word for it? Whether you are a freelancer, owner of a small business, or a student needing to step away from the noise, BrooklynWorks 159 is a space for everyone. Book a tour so you can see for yourself.